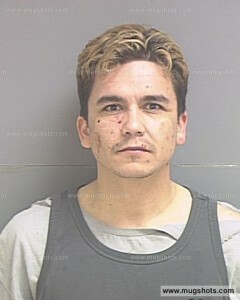 Pathological lying sociopath and soon to be certified “nut” Andres “Andy” Esquivel has been ordered by the court to undergo mandatory mental evaluations by two court appointed psychiatrists in order to ascertain whether or not he is competent to stand trial. We’ve known for some time that his accomplice Allen Brady suffers from mild mental retardation and that his mental condition has been made worse by habitual drug use, but now the court has come to the conclusion that Andy Esquivel may be insane as well. The examinations are intended to determine whether the extend of Andy’s mental retardation (or psychosis) is extreme enough to make him incapable of understanding the charges against him or the penalties he now faces. We’ve stated for some time on this blog that Andy is obviously crazy and clearly doesn’t understand that he’s on trial for three felony counts of securities fraud (serious charges) that could carry up to a maximum of 25 years in prison if he is convicted. Anyone who reads this blog will clearly see the extend of Andy’s delusions and will come to the conclusion that he is not mentally stable enough to tie his own shoes, much less function in society. Now we will have the benefit of professional opinion to determine for the record whether Andy’s psychosis is real or just an act. Andy has been pretty quiet since the court openly asked the question whether or not he is insane. No longer is he blabbing wildly about conspiracies against him or claiming that some hearing that’s right around the corner will exonerate him and implicate the prosecutor and witnesses against him in some criminal wrongdoing. His blogs are silent, his YouTube channel vacant, his supporters now reduced to his live-in girlfriend (mother of three of his six (6) illegitimate children) and convicted felon mother. it’s a sad state of affairs for a guy who once bragged about having armies of attorneys, having invented technologies that could save thousands of lives, and of being on the verge of a “billion dollar” buyout from Google. Good luck in January Andy. We hope the court offers to help you get the treatment you need. Maybe with the right medication and a top flight mental institution, you’ll finally be able to contribute to society and provide for your family. Nobody wants to spend their life being described (accurately) as ‘dead weight’. Andy’s attorney just submitted the results of Andy’s psychiatric evaluations, but they’re marked ‘private’ so we cannot post them here for public viewing. The judge will review the results of these exams and will rule tomorrow on whether Andy is “sane” enough to stand trial.